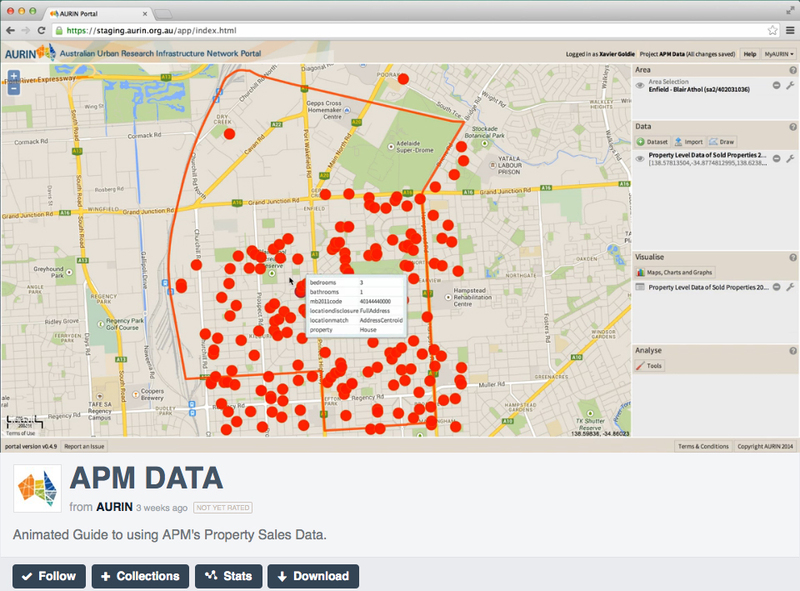 We have over 1000 datasets directly available on the Portal, and one of these is Australian Property Monitors’ (APM) Property Sales Data. If you’d like to know more about how to navigate this dataset, we have uploaded a tutorial on Vimeo to make this much easier. In it you will find current property information and sales data used by finance and real estate industries, with an interactive map within search results. Note well that only authorised AURIN members can access this data! To see more, click here!